Yes, that’s right; Chaidez is young. But don’t you dare let her age disenchant you. When this girl was 12 and playing bass, she opened with Band of Horses – and at Stubb’s I watched her take greater command of the stage than most grown adults. Chaidez was not only an engaging performer, but she knew what the audience wanted and was unafraid to let us have it full force. She connected with us and made attendees feel even more alive for an hour or two. Despite the fact she was singing her heart out whilst wearing thick clothing and black leather in the summer heat of Tejas – Chloe Chaidez had more energy than any vocalist I’ve seen in a good, long while. There was something raw and powerful about the sounds of their music, too. Best of all, Kitten even took us older folks back to more youthful days and made us all feel younger again when she sung the 80’s classic “Take My Breath Away” by Berlin. There were four male musicians on stage with her, but due to the fact Kitten has dealt with a revolving door of bandmates – I am uncertain who was accompanying the vocalist that evening. Even the press releases do not disclose the band mates. However, the band originated in Los Angeles, California in 2009 and released their first album in 2010. 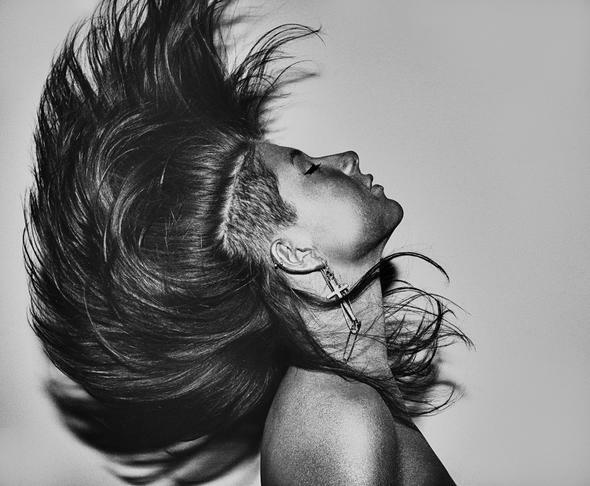 Kitten has also opened for bands like Charlie XCX, Paramore and No Doubt. Earlier in May of this year, Rolling Stone published an article about Kitten to say, “Kitten sounds like Eurythmics’ synth-heavy ‘Sweet Dreams’ turned fever dream, with detours into sugary shoegaze and distorted power balladry”. I’m inclined to agree with this description. Seeing as I grew up in Austin, Texas and I’ve lived here off and on since the late 1990’s – the Live Music Capital of the World – I’ve watched and heard the music scene morph and blossom. And I’ve seen a lot of shows. Too many to remember. Many of which were shows I saw at Stubb’s. Therefore I admit that at my worst that I can be a bit of a live-music snob – solely because I was blessed to be surrounded by some of the best musical artists from all over the world right here in my hometown. Frankly I was only going to stay for a few songs, take a few photos and then leave. Secretly, I admit that I wasn’t expecting much of a band featuring a 19 year old, playing a show on a Tuesday night in the Red River District. However, the joke was on me because Kitten proved my cynicisms to be wrong. I stayed for the entire show and I’m glad I didn’t miss a beat. From now on when I hear the band name Kitten, I will only think of these three words: Here, kitty kitty. Dear Chloe Chaidez: Come back to The Lone Star State as soon as you can. Don’t stay away too long. I recall you saying on stage that ATX was your all-time favorite city to visit during a tour. And you’ve officially become one of my favorites in return and I wish you all the best in your career. An artist as young, robust and talented as you is bound to have haters that will try to stand in your light. 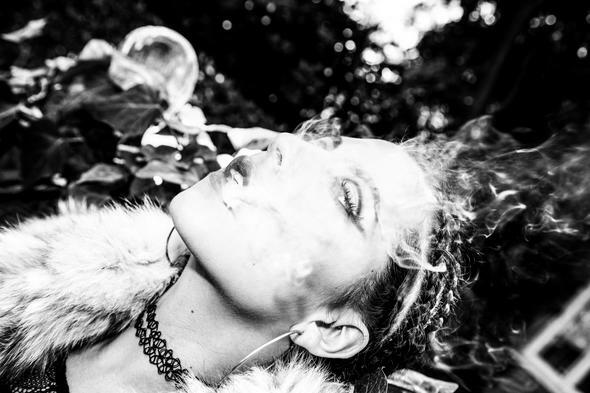 Stay beautiful, stay sweet, stay loose — and don’t let the entertainment industry ever taint your voice or steal your inner-fire as you evolve into an even more rockin’, empowered young woman. 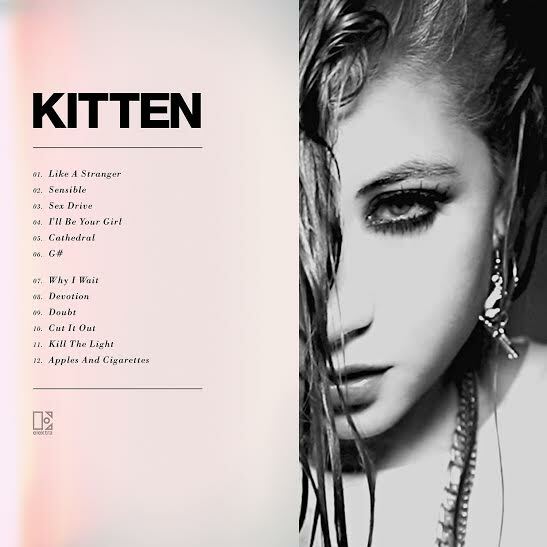 For more information regarding the band Kitten please visit www.kittentheband.com. This entry was posted in Event - Show - Festival, Interview, Reviews and tagged ACL, ATX, Austin, Band of Horses, Charlie XCX, Chlove Chaidez, KITTEN, Music, Nicolette Mallow, Paramore, Rank and Revue, ROLLING STONE, Stubb's BBQ, SXSW, Taste the Sugar in the Dark, Texas, writer. Bookmark the permalink.